We all know that Instagram is a great platform for sharing beautifully-curated visual content with the world. When the app launched its video feature in 2013, it gave bloggers of all levels a new way to interact with their following. Instagram's users were now able to record fifteen seconds of video content, before throwing on a filter and sharing it to their feed. Nowadays bloggers that are serious about building a solid brand identity on their social media, know how to post videos on Instagram and understands the importance of doing so on a regular basis. In this post, we're giving a rundown of Instagram’s updated video features and how to post video content on the app. We will also share our favourite tips and tricks for capturing the perfect video clips, both for your feed and your Instagram story. 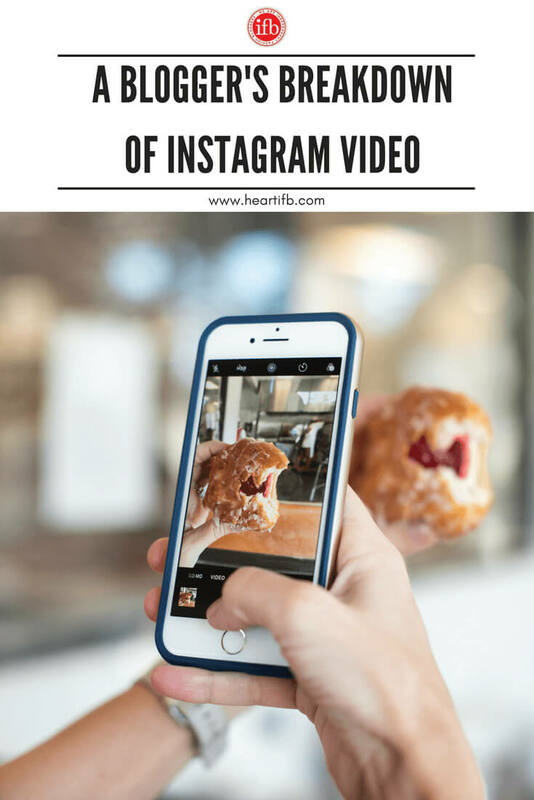 Whether you're a beginner, looking to learn how to post videos on Instagram, or are experienced and want to learn more read on for IFB's breakdown of Instagram's video features. If you’re new to the app and wondering how to post videos on Instagram, the process is pretty straight forward. Choose whether you’d like to add video to your feed or your story. Keep in mind that the videos you share to your story will “disappear” after 24 hours. Valuable video content, that plays a key role in your social media strategy, should always be posted on your feed. It’s the most permanent way of keeping video content around on your Instagram account for future followers, clients and brands to view. To immediately film a clip and add video content to your feed, tap the “plus” icon at the bottom the Instagram app. Then select video (bottom right corner) and decide whether you plan on filming your video content with your front-facing camera (i.e. your “selfie” camera) or rear-facing camera. If you’re planning on using your rear-facing camera, you will have the option to turn on the camera light for a constant stream of spotlight (i.e. your smartphone’s “flashlight”.) You won’t have this option with your front-facing camera, so if you’re planning on recording a selfie video you might want to consider investing in a portable selfie ring light for future use. Record your content by holding the round button at the bottom of the screen and pointing your front-facing camera at your subject. If you take your finger off the button, Instagram will stop filming. Choose whether you would like your video post to be made up of a series of clips or just one long continuous stream. Instagram allows you to edit your video as you film it. If you don't like a clip you have recorded, it's a quick two-click process to delete it. You can only delete the last clip you recorded, but it's still a valuable feature. It's great for getting each piece of your video just right. You are able to film up to sixty seconds of video per post. Looking to incorporate a number of video clips into these sixty seconds? You have the option to switch back and forth from your front-facing and rear-facing camera. Once you are happy with the footage you’ve capture, hit the “Next” button. Select a filter for your video post – you will have twenty-three different ones to choose from. You also can to choose a “cover” for your video post, before posting it directly to your feed. This is the perfect opportunity to include some branding in any videos you take to promote your blog. Including a screenshot of your blog homepage, or your blog URL neatly handwritten on a piece of paper, at the beginning of each of your videos makes for consistent brand messaging and reminds your Instagram followers where to go to read more. Uploading pre-recoded content from your smartphone to your Instagram feed, as a video post, is also quite simple. Click the “plus” icon in the bottom of the home screen; instead of selecting the “video” option, select “gallery” instead. Find the video you would like to upload to your Instagram feed in your smartphone’s gallery and select it. What if your selected video is over sixty seconds in length? Instagram will give you the option to “trim” it in the app. Select a filter, cover image and caption, before posting it to your feed. We all know the importance of curating a great Instagram story. Undoubtedly, video content plays a massive role in this task. Instagram stories may only allow you to upload fifteen seconds of video content per story clip; but it also lets you have a lot of fun in comparison to posting content to your Instagram feed. Firstly, it’s important to note Instagram now lets you upload video content directly from your smartphone to your story. Once you have clicked the camera icon and are in your story’s “normal” setting, swipe up to view your gallery. You can then select a video and upload it to your story. You will still have the option to customize the clip with filters and stickers before posting it. Filming directly in the Instagram story feature is quite entertaining and fairly easy to use. If you are familiar with Snapchat, you will probably notice that this feature in Instagram looks similar. First, select how you would like to film your subject. If you are planning on filming a selfie video, IFB recommends the “Hands-Free” setting. “Boomerang” is great if you’re looking to capture a group shot of people jumping up in the air together or doing something silly. Next, decide whether you would like to film your subject use your front-facing or rear-facing camera. Then, click the arrow icon in the top right corner and add on a filter, stickers, text, etc. Once you’re happy, click the “Next” button in the bottom right hand corner and upload your video to your story. 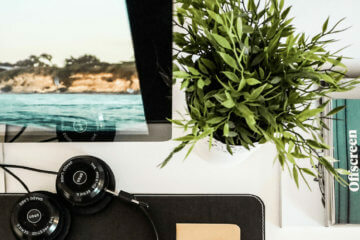 If you're looking for more information on how to post videos on Instagram or want a visual, step-by-step breakdown of the process check out this article on Thrive Hive's blog. Wondering how to post videos on Instagram that will be well received by your followers? Make sure your subject is well lit when filming. If you can't afford to invest in proper lighting for indoor filming, consider shooting in natural daylight whenever possible. As mentioned before, investing in a portable selfie ring light might also be a big help. They're inexpensive, lightweight and easy to use. Proper lighting can make or break good video content, so don't scrimp. If you're looking for a few tips on filming in low light, check out IFB “6 Tips for Low Light Photography” – there are a few tips in this article, that can also be applied to filming in low light. Here at IFB we talk a lot about the importance of posting excellent, unique content. If you're really looking to up your branding on social media, you need to be posting original content. And this includes your Instagram video content – both for your Instagram feed and story. Do your research. Play around with the app and figure out the best way to engage your audience with your content. Providing your followers with fresh, unique videos and you should see an increase in interaction in Instagram. 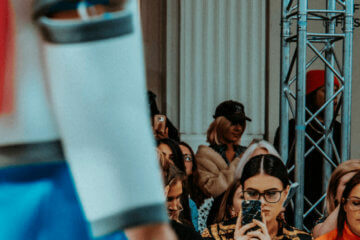 If you're looking for tips to stand out from the rest of the crowd, check out IFB's article on “7 Ways to Make Your Blog Stand Out From The Crowd”. Many of these tips can also be applied to curating a follower friendly Instagram feed, with unique video content, so it's worth having a quick read through if you're seeking inspiration. I think it is an amazing feature there is so much you can do with it. But I would like if you could mute the video and add on some music from your library instead. I have yet to use it but am excited! Embedding would be a terrific feature. For those of you who use WordPress: I found a way to show your instagram movies on your blog! There’s no embed code but if you have the WordPress app on your phone you can upload your instamovie from your phone there. And then if you upload it and add it to a post on the app on your phone, than you can open the concept post on your computer in your wordpress menu and edit the size of the video, add text and so on (I find that harder to do on the iphone app since it’s full HTML). Try it though, it’s really easy! @Lucy – I’ve tried using my WordPress app but it requires subscription to Videopress which is chargeable. Unless you paid for the subscription, then the videos will be uploaded via the app. I much prefer Vine to Instavids. I do like a few features on Instagram, like the ability to delete the latest clip, but I think the simplicity and raw footage that Vine vids require makes it more challenging (and rewarding) to have a really great video. 15 seconds can feel a bit long when scrolling through my feed, but instagram does have the advantage of reaching a wider audience. On paper, Instavids seem like the better option, but there’s something about Vine’s ease of use that makes it the winner in my book. I use Instagram often and love the platform so seeing the app go to video is exciting. I’m excited to get creative with it. My YouTube channel had been fun but it requires a lot of editing for a 3 minute video. A platform that encourages shorter impromptu clips with the feel of Instagram is exciting. I love the idea of being able to expand our photo stories with it. This Insta videos remind me of photoes from Harry Potter movies. Woah, I never knew you could track it, use a cover frame and stabilize it. I clearly haven’t been using it to the max! I am so excited about the videos! I feel like there are so many ways to utilize it, that I don’t even know where to start! Some inspiration would be helpful! I remember the day that the update came out. I was at a conference full of teens and everyone was freaking out. Videos were being put up everywhere. I, however, have yet to try Instagram videos. I think it’s because most of the videos I watch have no point and I usually scroll over them. I don’t want people to scroll over mine. I guess I should give it a shot though. I still haven’t used it but I’m really excited about starting to go for it & I think it’s a great way to get even more personal with your followers. Excited to do my first video!